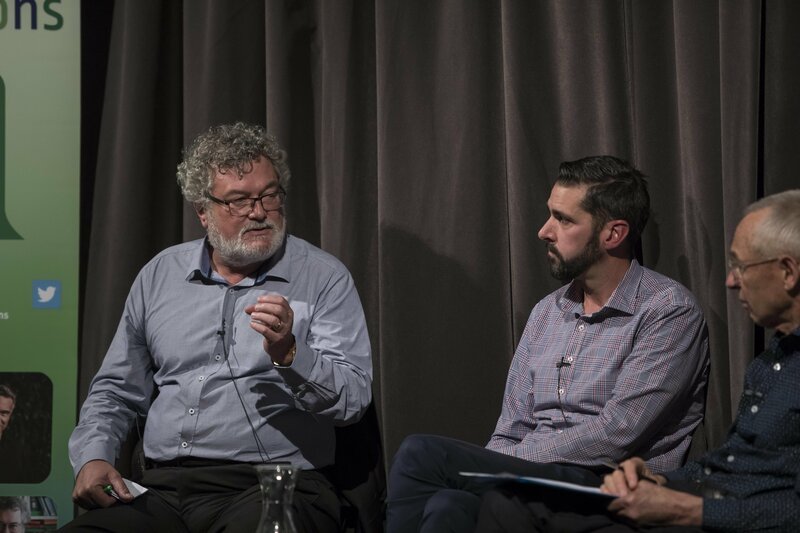 It’s almost a month since we finished the final session of the 2018 Aspiring Conversations, after three days of thought-provoking discussion, debate and insight. Thank you to our speakers and performers. You made us think, laugh, cry and tap our feet. Wanaka was buzzing. Thank you to our Patrons, Benefactors, sponsors and funders – without you the festival could not happen. We are lucky to live in a community that is so supportive of events like ours. Thank you to our staff and volunteers who worked so hard to put on a top-notch event for our audiences. We ask for feedback after every festival so we can make sure we’re putting on the best events possible, and responding to the needs of our audiences and our community. If you haven’t done so already, please take the time to answer a few quick questions here. 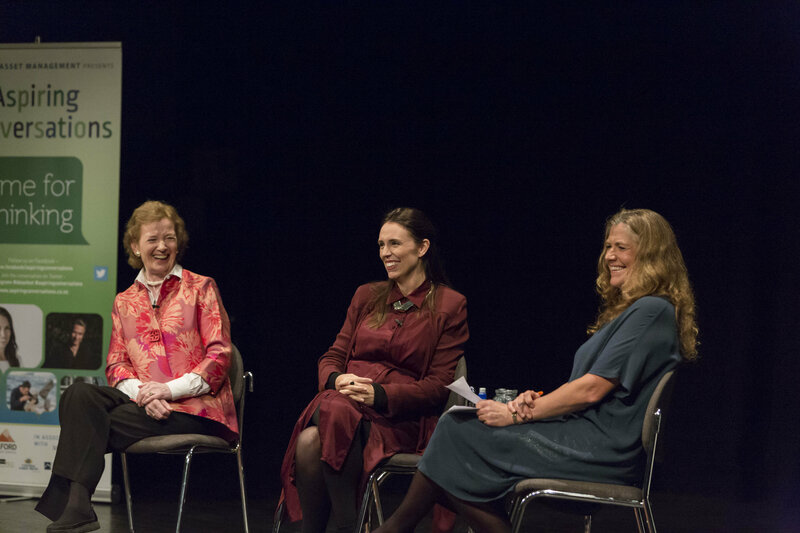 You can head to the Radio NZ website to hear to a podcast of a section of our popular ‘Working for Change’ session, featuring Prime Minister Jacinda Ardern and former president of Ireland Mary Robinson. 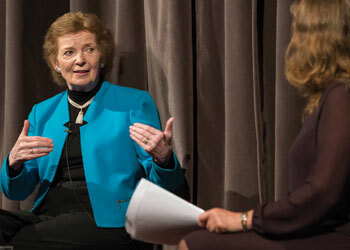 Listen to ‘The leadership of change: Mary Robinson and Jacinda Ardern’ here. 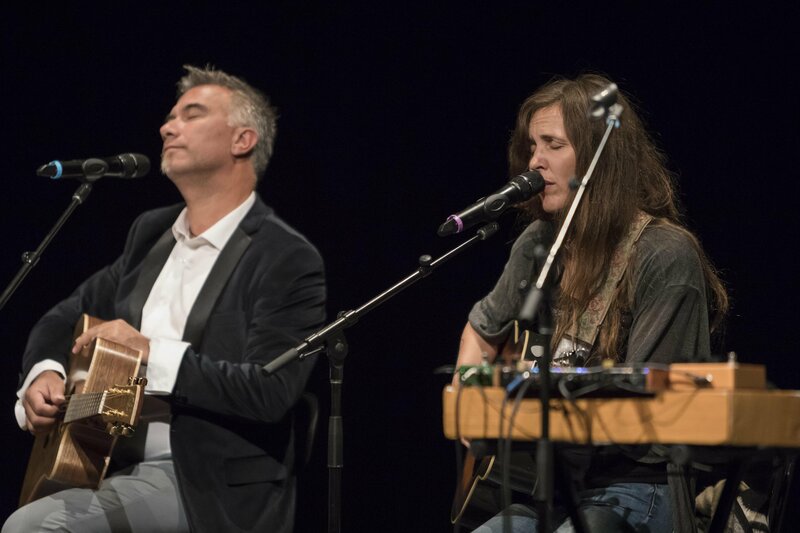 Watch this space for information about future broadcasts and podcasts of 2018 Aspiring Conversations sessions. Chris from Paper Plus Wanaka has been a supporter of Aspiring Conversations since the beginning, and again opened his popular pop-up bookshop at Lake Wanaka Centre during the festival. 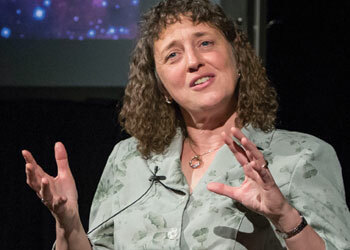 This gave festival-goers a chance to meet some of our speakers and to pick up a book or two. 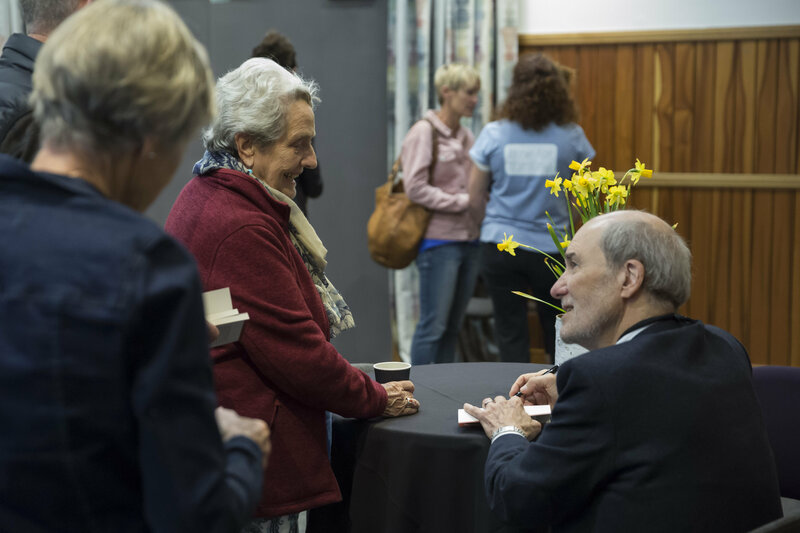 Not only does he help spread the word at our festival of ideas, Chris donates a portion of his book sales to the Southern Lakes Arts Festival Trust, who run both Aspiring Conversations and the Festival of Colour, and this year he has given us a generous donation of $1442.46. 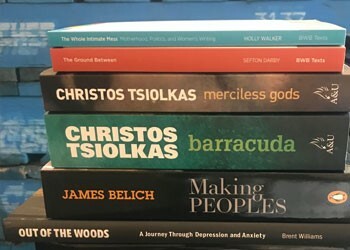 Do head into Paper Plus Wanaka – books by several of our speakers are currently available in the shop, including works by Holly Walker, Sefton Darby and John Potter. The Big Fig, who supported Aspiring Conversations as a Local Business Sponsor, was featured on Radio NZ’s ‘Nine to Noon’ programme this week. 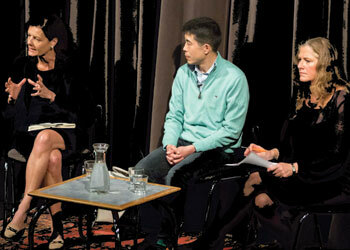 Turns out host Kathryn Ryan, who chaired several of the sessions at our festival of ideas, is a Fig fan. Listen to co-owner Chrissie Lahood share recipes for two of her salads, Freaky Beets and Roasted Vegetable Fattoush, here. 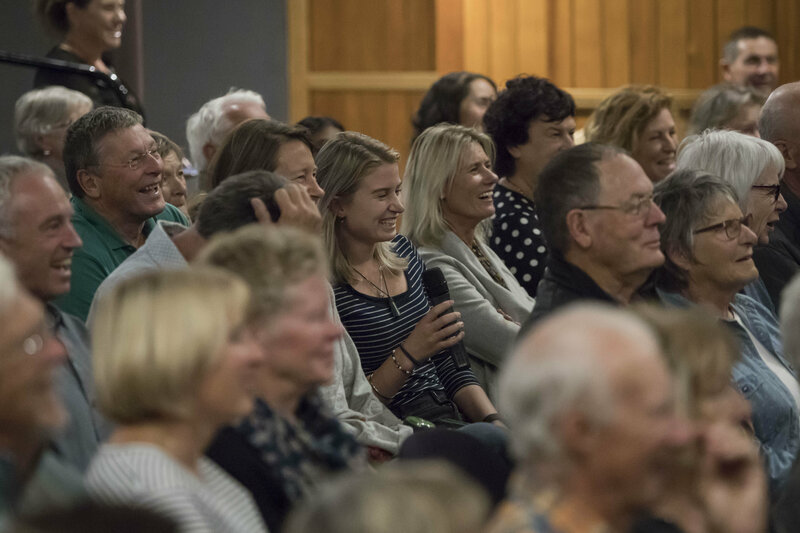 We are tying up the final loose ends of Aspiring Conversations, but we are well into planning for the 2019 Festival of Colour, coming to Wanaka from April 1 to 7, 2019. Some great shows are in the pipeline!